Use these hints to help make your career and personal interests equally fulfilling. Keep reading to learn more about these healthy work-life balance tips for nurses below. Your balance between career and personal interests might look different than that of your fellow nurses and coworkers because everyone has different priorities. Start by thinking of any areas in your life that feel unbalanced. For instance, after a long day caring for patients, do you run out of energy to read a nightly bedtime story to your kids? Do you wish you had more time to enjoy a weekly date with your partner or attend your monthly book club? Defining where you’d like to invest your time and energy can help you focus on achieving a work-life balance that’s personalized to you. Once you’ve determined the areas in your personal life where you’d like to devote more attention, another work-life balance tip for nurses is to apply strategies that can help you fit them into your schedule. From limiting distractions to delegating tasks, practicing simple time management skills throughout your day can help you deliver excellent patient care while also making time for the things you love. Learn more about boosting productivity with these time management tips for busy nurses. Patients can often remain on your mind long after your workday is over. That sense of compassion is one of the keen attributes that make you a nurse! While it’s OK to have lingering thoughts about your day when you’re at home, trying a gentle transitional routine may help your mind unwind after work and prepare for what’s next. Turning off your phone, listening to soothing music, or closing your eyes and taking deep breaths as you head home for the day can help you stay present and engaged in your personal life. 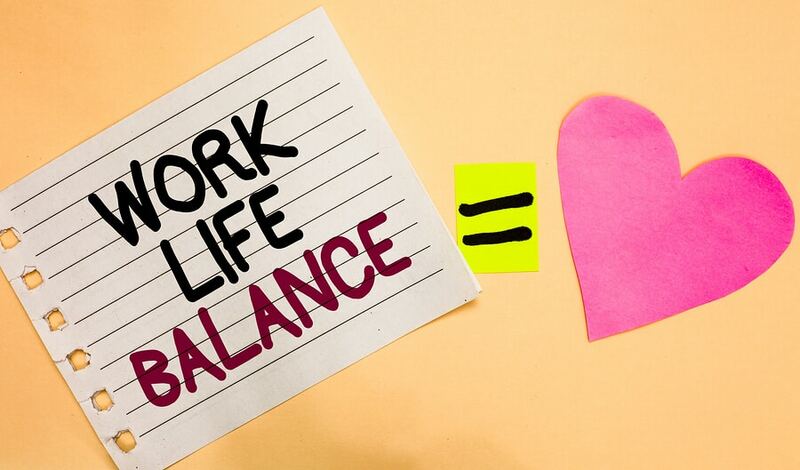 While achieving work-life balance sounds like a good idea, it won’t have the same harmonious effect if you regularly feel too fatigued, stressed out, or unwell to enjoy it. Set yourself up to get the most out of your career and personal life with a healthy self-care routine that includes a nutritious diet, adequate rest, plenty of exercise, and activities designed to reduce stress. Check out these self-care ideas for nurses that can help you boost your wellbeing. Have you noticed another nurse or coworker you admire who appears to have found work-life balance? Ask them for guidance. Tapping into someone else’s tips and tricks can offer new and relatable insights you may want to adopt in your own life. Your PCNA membership also gives you access to hundreds of cardiovascular nurses and other professionals in your area – and beyond – who can lend support and advice. Find and join a PCNA chapter near you. Achieving your desired work-life balance doesn’t happen overnight. Slowly find the things that work for you and stick with them. If you haven’t found the balance you’re seeking after some time, try a different route. The key is to continually make subtle changes that point you toward your ideal life while also accepting the realities of where you are today. These healthy work-life balance tips for nurses are intended to help you discover ways to make your career and personal interests equally fulfilling. For more heartfelt inspiration for your well-being and career, visit our blog today. To learn more about our community of nurses leading the way in cardiovascular disease prevention and management – and how you can join – contact us online or call 608.250.2440 today.